As a leading global producer of hygiene solutions for the education, food processing, grocery, healthcare, hospitality and office industries, Gojo and Purell have formulated some world-renowned hand cleaning solutions, hand washing, hand sanitising and skin care formulas. 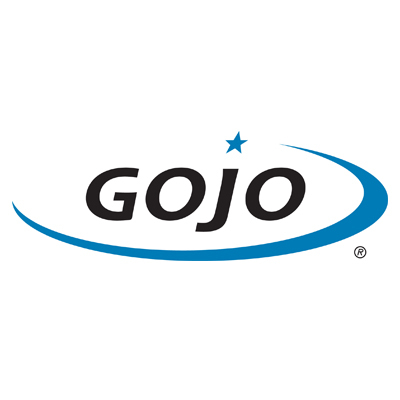 Known for its state-of-the-art dispensing technology, GOJO promote the ultimate hygiene and skin care regime. In fact, GOJOs partner PURELL are America’s number 1 instant hand sanitiser! Offering a range of Gojo foam hand soaps, Antimicrobial foam hand washes, Milk handwashes, lotion handwashes Fragrance free hand soaps as well as luxury soaps, hand medic skin care creams and PURELL advanced hygienic hand rubs that function effectively with our hand soap dispensers such as our Jangronauts dispensers for children, our GOJO and PURELL hand sanitising range is one of our most used skin care ranges. Mild Hand Soap Dispensers And Antimicrobial Foam Hand Soaps For Dispensers Here at Pattersons Cleaning Supplies, we only offer our customers in the education, food processing, healthcare and hospitality industries they very best cleaning solutions that we trust and have tried and tested! That’s why we’re proud to offer our customers the GOJO hand washes for washroom dispensers and world-renowned PURELL hand sanitisers. Our antimicrobial foam hand washers and mild hand sanitisers are very popular amongst our customers for trust worthy, safe to the skin, skin care. Browse the full range of Gojo and Purell with Jangro dispensers online at www.pattersons.co.uk today.